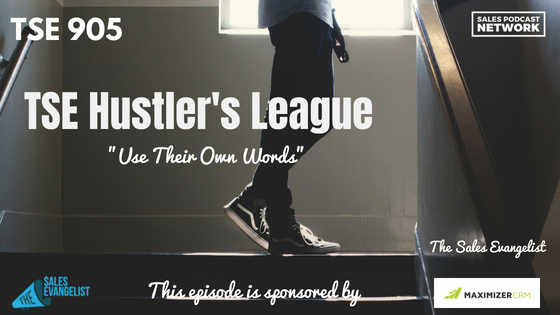 TSE 905: TSE Hustler's League-"Holes In Your Sales Process"
If your sales team focuses only on how many deals are closed, you won’t know much about your sales process. When the numbers drop, is the problem with the prospecting or with marketing? If you’re only focused on results, you won’t know. In order to find the holes in your sales process, you must evaluate the entire process. On today’s episode of The Sales Evangelist Hustler’s League, we’re going to identify three areas that could disrupt your sellers’ effectiveness so that you as a sales leader can help your team find the holes in your sales process. 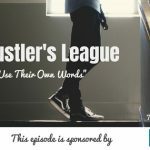 If you’re new to the podcast, The Hustler’s League is a snippet of our online coaching sessions that allow you to listen in on the challenges that other sellers are facing. We’re spending the month of August talking about coaching and leadership, so today’s episode will help us focus on problem areas instead of only on results. Very often the sellers who contact me for The Sales Evangelist Hustler’s League share that they don’t feel like they are providing enough value for their prospects, mainly because they aren’t sure of the prospects’ buying intentions. If your sellers don’t know the true reason why buyers are buying your product, they won’t know how to proceed through the process. Even if they manage to schedule an appointment, they won’t know where to focus their attention. They won’t know what problems to solve for your prospects. Sellers often struggle trying to get their prospects to commit to buy a product or service over and over. We tend to focus on the end commitment only instead of focusing on all the smaller commitments that led to that point. If, after the first appointment, you’re not getting multiple appointments afterward, it may be the way you’re handling those commitments. If you agree to follow up next week but don’t set a specific day and time, you don’t have a commitment. As a sales leader, if you aren’t sure that your salespeople know exactly what it means to make an appointment, role play to show them how to set specific meetings. Don’t rely on guessing or general plans. Your customers will appreciate the fact that you’re prioritizing their needs by putting them on your calendar. If your company doesn’t have a training process, your salespeople will have a hard time prospecting. If you haven’t actually walked them through the prospecting process so they know exactly how it works, you’re likely setting your team up for failure. It’s normal for reps to fear rejection, but what are you doing to help them overcome that? So if it’s overcoming the fear of rejection, the more your sellers do it, the easier it will be. Ideally, if we expose them to rejection often enough, they’ll become immune to it and it won’t interrupt their sales process. Grab a copy of Kevin Davis’ book The Sales Manager’s Guide to Greatness: Ten Essential Strategies for Leading Your Team to the Top. The Sales Evangelist offers a business development service that develops cold leads for your business. We’ll generate a list and hand it off to your team who can work to close deals. Email me for more information. 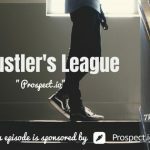 If all of this sounds great to you but you still aren’t sure how to start, check out The Sales Evangelist Hustler’s League, an online group coaching program that brings sellers of all levels and all industries together to share insights. You can also join our Facebook group, The Sales Evangelizers to connect with sales professionals from all walks of life. Today’s episode is brought to you by Maximizer CRM, a personalized CRM that gives you the confidence to improve your business and increase profits. Get rid of the boring CRMs and customize to your team’s selling abilities. Check out the Video Jungle podcast, which teaches you how to utilize video to stand out from your competition. Plan, create and share your way to better content and strategy. You are a brand, and video can help you set yourself apart. Leave us a review wherever you consume this content, and share it with someone else who might benefit from our message. It helps others find our message and improves our visibility. If you haven’t already done so, subscribe to the podcast so you won’t miss a single episode.